February 21, 2019 – Remodeling magazine Publisher Hanley Wood and the National Association of Realtors (NAR) have again ranked garage door replacements the top remodeling project nationwide for return on investment, according to the organizations’ 2019 Cost vs. Value Report. With an average ROI of nearly 100 percent of the project cost at resale, this is the second consecutive year that garage door replacements have topped the list. Garage doors have consistently ranked within the top five projects since they were first included in the study in 2010. “The Cost vs. Value report shows that “curb appeal” projects generate the highest return on investment, making them among the easiest and most cost-effective ways to boost your home’s resale value,” said Christian Morrow, Brand Manager for the Overhead Door™ brand, one of the leading brands of garage doors and openers for residential, commercial and industrial applications. On average, the report says that homeowners nationwide can obtain up to a 97.5 percent return on investment for their garage door replacements. In select markets, such as the Pacific region, the return on investment increases to as much as 124 percent. According to the study, the return on investment of upscale garage door replacements was more than double that of other popular remodeling projects, including a master suite addition and backyard patio. In recent years, the national averages for exterior replacements have outperformed those of larger discretionary remodeling projects. Nine out of the top 10 high-return projects ranked are exterior replacement projects. The 2019 Cost vs. Value Report compares the average cost of 22 popular remodeling projects in 136 markets. Year after year, this report has shown garage door upgrades can be one of the most cost-effective remodeling projects for homeowners interested in high ROI and lower costs. Overhead Door Corporation is a sponsor of the Cost vs. Value study. A brand of Overhead Door Corporation, The Overhead Door™ brand is one of the most trusted for garage doors and garage door openers in North America. Through its dedicated network of more than 400 Overhead Door™ Distributors – which operate across the country under “Overhead Door Company” trade names – that provide superior service and expertise to consumers, the brand is easily recognized by its iconic Red Ribbon logo and “The Genuine. The Original.” slogan. For additional information, visit overheaddoor.com. ©2019 Overhead Door Corporation. 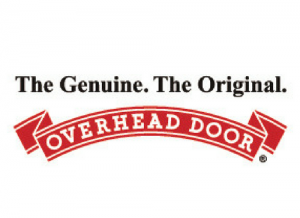 Overhead Door™ is a trademark and the Ribbon Logo is a registered trademark of Overhead Door Corporation. In partnership with the National Association of Realtors (NAR), Hanley Wood, publisher of Remodeling magazine, asks NAR members nationwide to evaluate a variety of home remodeling jobs and the ROI homeowners could expect to receive when selling their homes. The study, available at www.costvsvalue.com, details both the national average value returned for common renovation projects, as well as the expected ROI in nine U.S. regions and 99 U.S. cities.